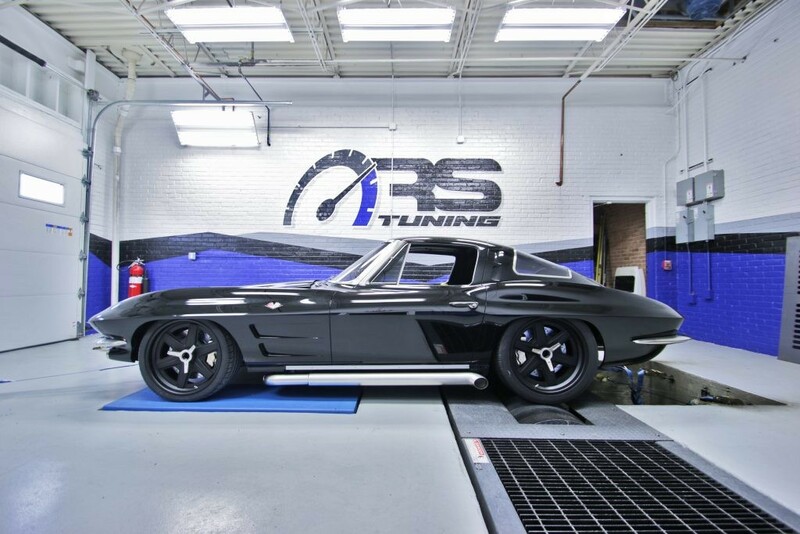 Roadster Shop is known for turning out some pretty wicked builds, from the 1967 SPEC Camaro to the ColoRADo SEMA superstar. The firm is making news once again, this time with a souped-up, 1963 Chevrolet Corvette. This custom C2 ‘Vette flaunts timeless design with modern day muscle, courtesy of a 6.2-liter LT4 V8, which provides stout performance figures of 552 horsepower and 586 lb-ft of torque at the wheels. No, this isn’t your ordinary restoration. We don’t have all the fine details surrounding this custom car, but the pairing of a classic Corvette body with a potent LT4 engine is quite enough to sell it for us. The black-on-black color scheme and massive, three-piece Forgeline RS6 wheels further sweeten the pot. It’s no secret that the C2 Corvette is increasing in value and exclusivity. If you take that into consideration along with the cosmetic and performance appeal of this example, there’s no denying that this is one desirable piece of motoring Americana. Go ahead and enjoy the video above, and keep an eye out for upcoming content on Roadster Shop’s head-turning C2 Corvette.